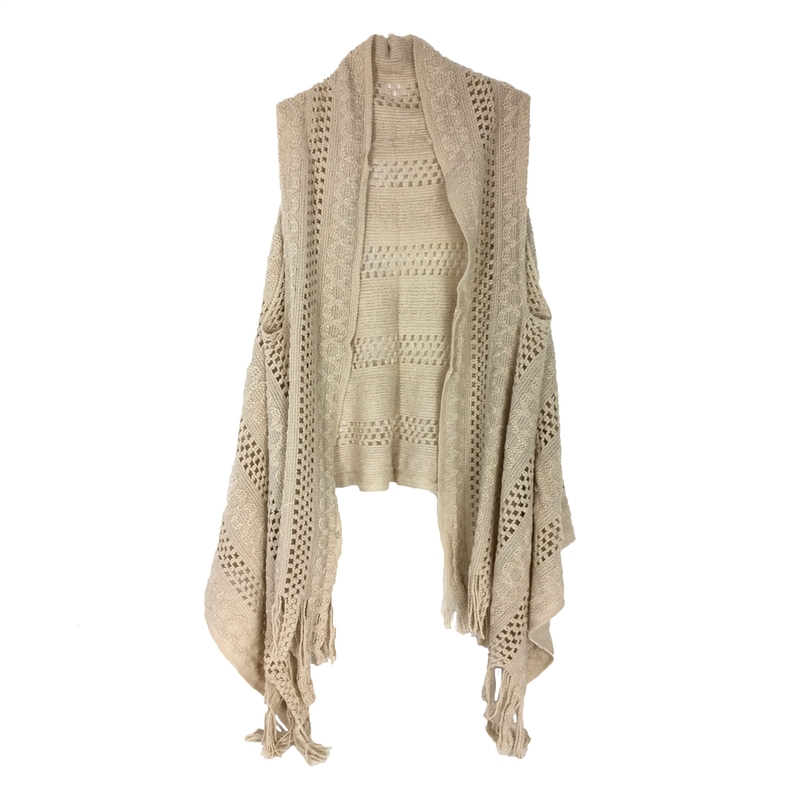 The options are limitless this fringe trim knit duster vest is super soft and can be paired with a variety of looks. High low knit duster vest with open knit panels. Fringe trim hem. Open front. Sleevless.